That sense of clarity, empowerment and joy we felt. But of course there were also those more tender and gentle facets. Let me try to find the words to give you a better picture. 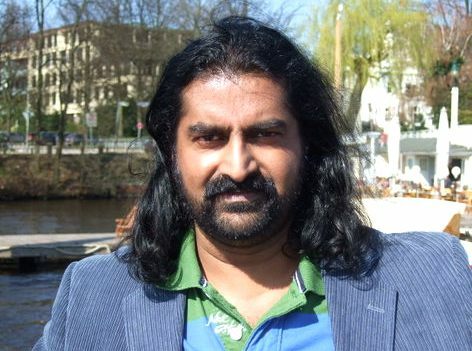 First of all I am absolutely delighted that Mohanji has now „covered“ Germany from North to South so to speak (Hamburg, Friday 9. 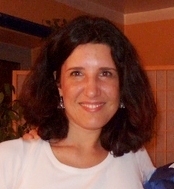 April and Munich, Wednesday 14.April 2010). He touched people’s hearts deeply with his genuine way and it was amazing to see people’s transformation happening within one evening. What an incredible treasure of service to human kind Mohanji is doing by making himself available to us. What a wonderful „package“ through which we receive all the energy, healing, insight, time and widening of the heart. And there really are no words to describe my gratitude, joy and wonder about being part of all this. One of the messages I received today from a couple of meditators who joined our evening in Hamburg touched me very much. It was their reflection on the past days after Shaktipat, how well they feel, full of power, verve and vitality. 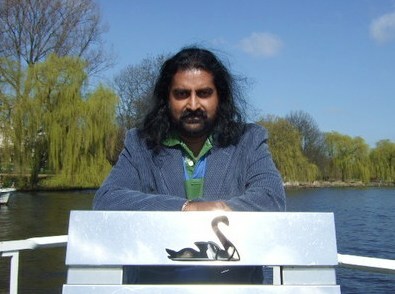 And that they can not wait for the next opportunity to participate in the „Power of Purity“, with Mohanji and/or myself. 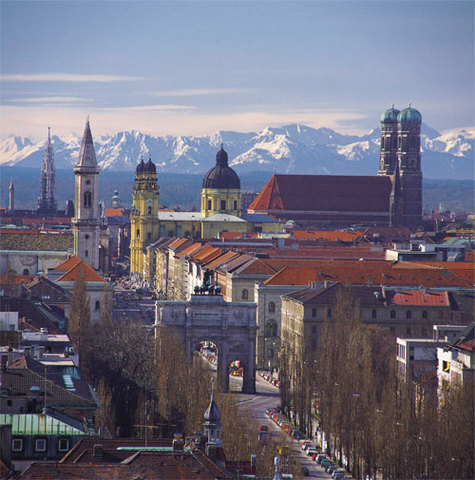 During yesterday’s meditation in Munich we had again major releases of old stored inner baggage. People’s faces softened no matter how agitated their state was when they arrived. Opening hearts, smiles, lightness, peace and love prevailed. I would also like to mention that the actual location got transformed: Mohanji and I had noticed a significant shift in the atmosphere of the meditation room shortly after our arrival, before we even started the meditation. Mohanji was already seated in the front overlooking the room when he suddenly called me to „have a look“. And yes we were both staring into the space in front of us and were amazed how the aura of the room had changed, how it became still, yet sparkling. 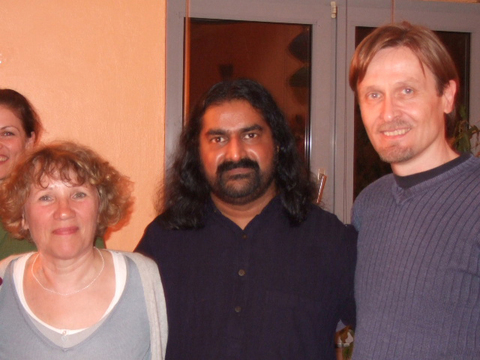 One meditator from Berlin who joined us in Hamburg managed to come again all the way from Berlin to Munich. In Hamburg he went through deep cleansing. His experience brought him back and this time he was connecting to Mohanjis chakras, and their status was reflected now on him. He was much more clear, upright and together. One other surprise was a lady who had the inner pull to come all the way from Luxembourg. She had met Mohanji for the first time in India some time ago. And after that trip to India she always kept a photo of Mohanji in her purse (together with the pictures of her children) hoping to see him one day again. And just yesterday evening she realised the soul connection: she was Mohan’s mother in some past life. Mohanji and his 'mother' 🙂 - a soul connection..
Needless to say that Mohanji and her were overjoyed and touched by the encounter yesterday. We had people describing that after the meditation and Shaktipat they felt deeply touched, lighter/relieved, grateful and more at peace. One other lady’s family issues with parents and own children popped up. Her anger, stress and agony came through during the meditation and we talked about it later on. 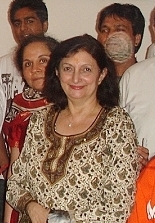 Mohanji encouraged her to have patience and recommended that with her continuous blessings of her family the relationships will improve, also if the current disputes seem unsurmountable. – Shaktipat cuts old unnecessary bindings. When these cords of impressions get cut, a gap between one’s mind/intellect and one’s spiritual evolution appears. In this it is normal to feel confusion or like crying etc. We have to understand that mind and intellect are repetitive, whereas spirituality is evolutionary. But this gap will reduce in the course of time. However, a student has to have extreme patience. This gap could cause disillusionment hence steadfastness to one path is essential. Till the journey is completed. This disillusionment can cause physical, emotional or intellectual agony. Invariably a spiritual student is supported by a master suitable to his stature. – The difference between reacting and responding: reaction always comes from emotions. Responding comes from the intellect. The more you react, the more you are self-distructive. The more you respond using your intellect, the more balanced you are. But please note, intellect is not to be confused with the ego-mind! Now, please allow me to thank all the lovely people and entities who – often even without being asked – offered help and support with my organisation and clearing of the events and locations. Sending you lots of love. May you have the strength to live and stand up for your truth. 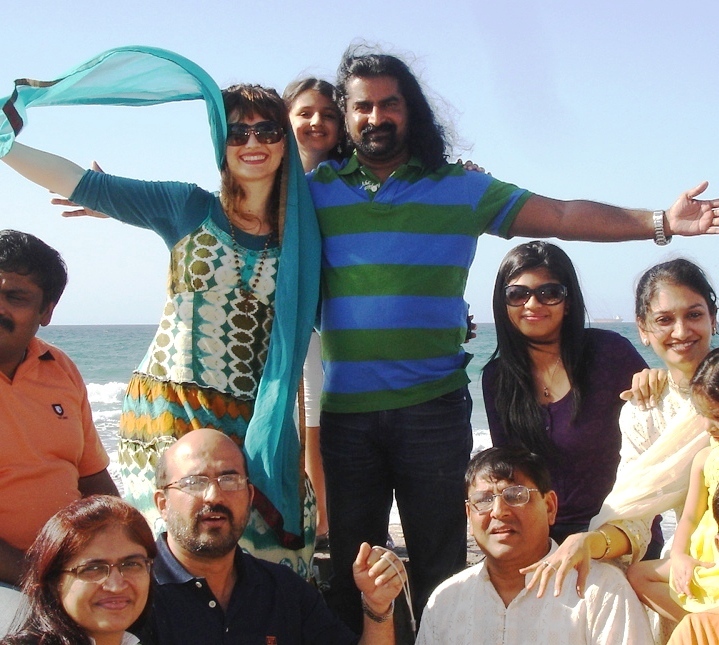 Dear friends, I would like to share with you the loving experience of our BTW in Muscat last Friday (April 8th). It was a great joy to have the chance to host dear Dr. Samata as our our guest in Muscat. As soon as we started the meditation, I felt an instant and strong connection with Mohanji – tremendous build up of energy around the third eye. At one point, the heaviness of the body and “stone statue” effect hinted the presence of the amazing spiritual giant, Mahavatar Babaji, who has been showering us with blessings lately. At that exact time, Dr. Deepali gave me Shaktipat – it felt like a very, very heavy male hand, with the effect that intensified the “stone statue” sensation manifold. I was ‘frozen’, with no thoughts, no movement of any sort. The next thing I recall after some time was a warm, loving Shaktipat which made my heart expand – it was like a flower petal, which lifted me (the ‘frozen statue’) upward and brought about the most loving, motherly sensation of lightness. My entire being was rejoicing! That was Dr. Samata’s hand. 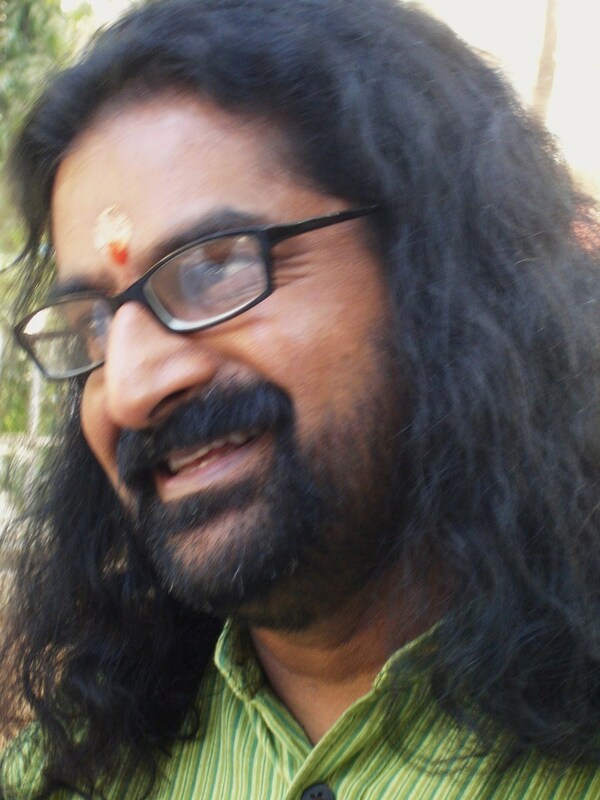 After the 2nd Shaktipat, I went so deep that coming out of meditation was extremely difficult. I would have given anything to remain in that state for some time more.. Eyes were sealed, body motionless, awareness expanded, heart exploding with Love…. With great struggle, I first moved one hand, then the other, and finally, after some time more, managed to open the eyes. I enjoyed the experience so much that suddenly a great joy overwhelmed me – I became the same old ‘bubbly Biba’ as we all shared our experiences. I was glad to hear that I was not the only one who “took off”, i.e. went so deep. Sudeep was still in a trance-like state and was not behaving like himself. He gave a few crisp statements about Dr. Samata and I both being very close to Mother Mary during the time of Jesus Christ (this was only a confirmation of the insights I received during past life regression in 2008..). He said that, at first, he thought it was me giving him Shaktipat and then only realized a subtle difference, but great similiarity between the two, and understood it was Dr. Samata. I was looking at Dr. Samata with so much love while Sudeep was sharing this, because, deep in my heart I knew that what he was saying was true. 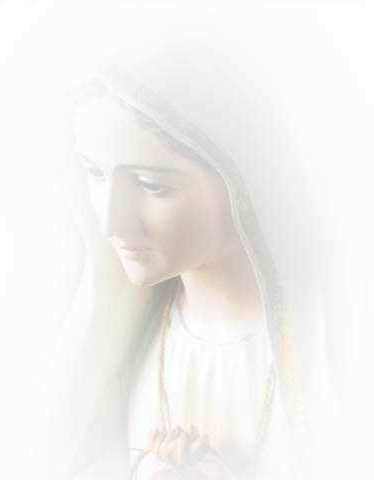 I could even see Mother Mary in her and that really touched me. She then shared that she felt ‘complete merging’ with me while giving me Shaktipat, and also felt very strong connection with Sudeep (above whom she even saw Mahavatar Babaji at the time of Shaktipat), and with Moushami, Dr. Deepali’s daughter, who is another sweet soul with Mother Mary connection. I could feel the tears welling in my eyes, especially because it now became clear to me why Dr. Samata did something completely out of the way for me, a total stranger at that time, when I was experiencing the bottom of my financial crisis in Dubai two years ago. Then Dr. Manjari told me about her friend, Dr. Samata, who was at that time living in the posh area of Dubai (Dubai Marina) and who, without any hesitation, offered me a room in her apartment on the 46th floor. In disbelief, I moved into a room covered with glass, with the most stunning view of Dubai. 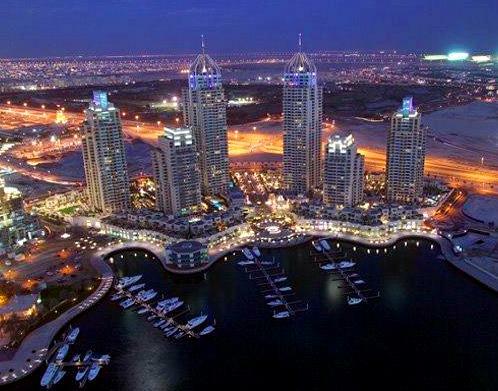 Dubai Marina and luxury of the "New York of the Middle East"
As a result of this most unusual encounter, Dr. Samata got introduced to Mohanji and connected with him very deeply. 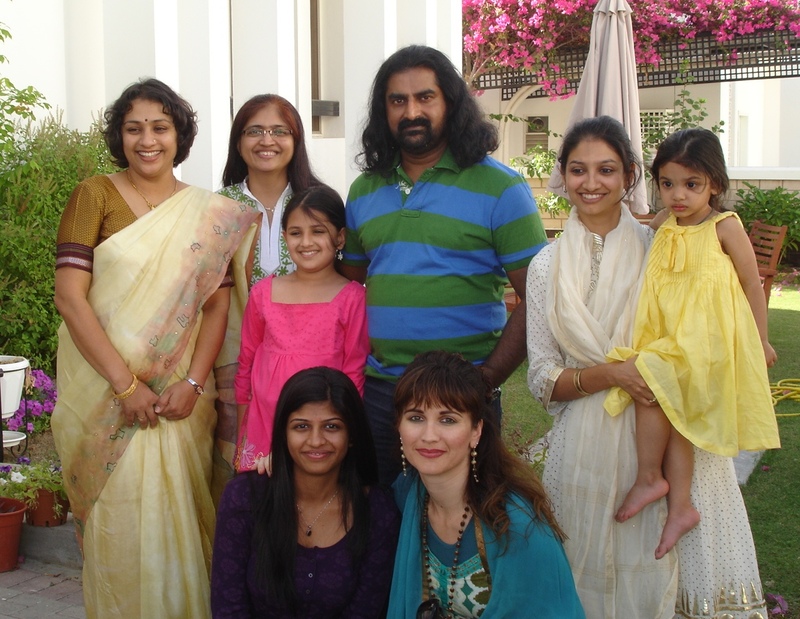 Two years later, as it often happens on the spiritual path full of ups and downs that make us grow, Dr. Samata faced her own challenges of life and moved into another apartment, this time in Mumbai. And it so happened that the first guest she hosted in that apartment was Mohanji (during his last visit to Mumbai). 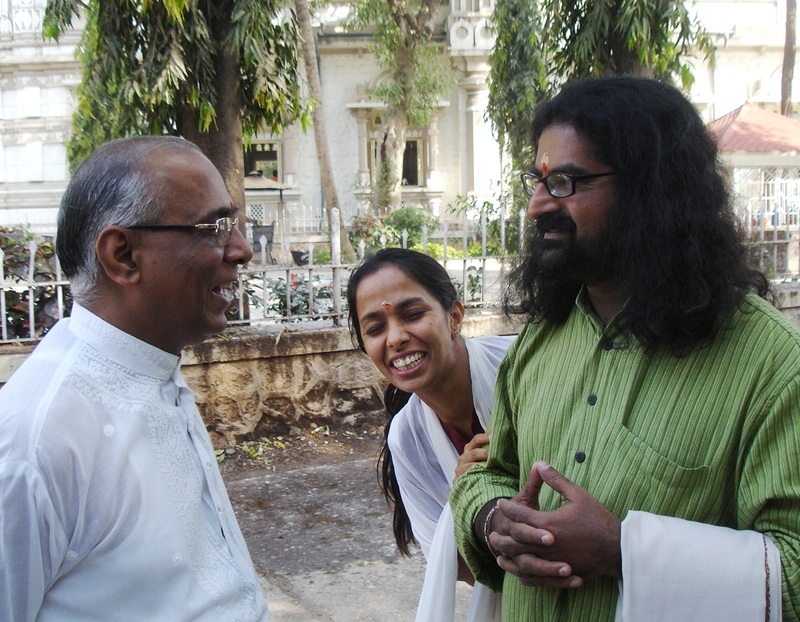 Sudeep, (who also, like Mohanji, lived in the time of Jesus, intensely connected with the Master), was happy to see Dr. Samata ‘shifting gears’ and becoming successful in her work internationally – and we all met at BTW last Friday, celebrating our soul connection in this most profound way. What a divine story – even Holly/Bollywood directors can’t match the plot. 1. 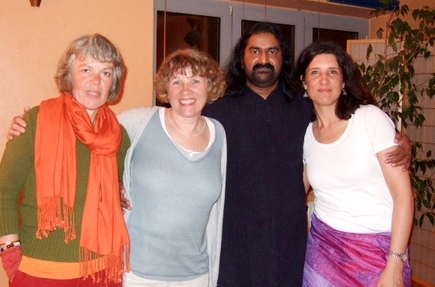 The first ever BTW & Shaktipat session conducted by Mohanji in Germany. 2. 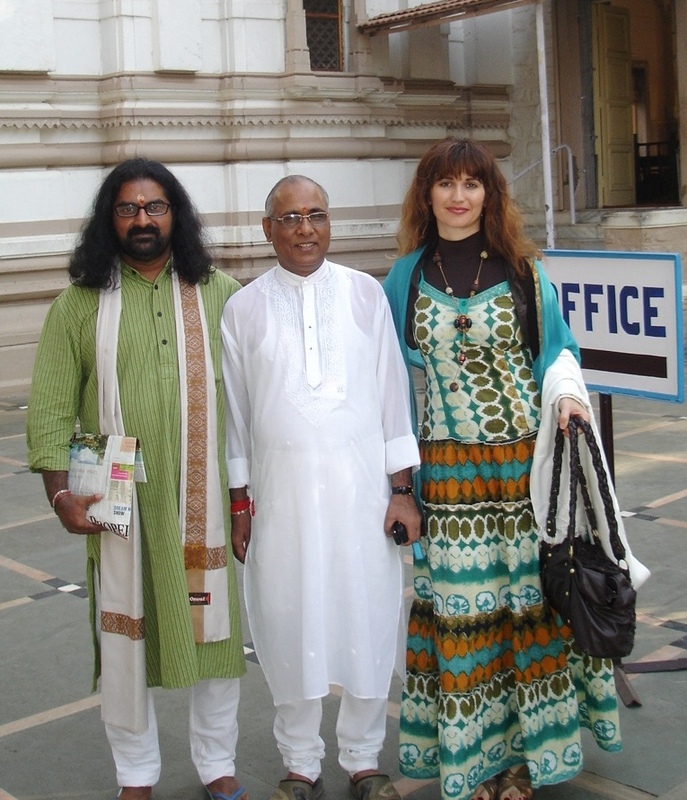 Me/Marina meeting Mohanji in his physical form finally again after one year. My joy knew no bounds when I picked up Mohanji from the airport in Hamburg yesterday morning. I haven’t seen him since I left Dubai in February 2009. 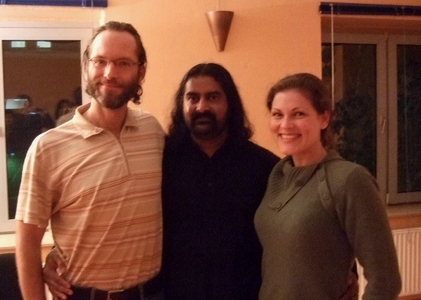 Although we are always connected, we never did this sort of a “first time ever meditation event” together. And here we were, together in the city were I grew up and studied, back in the country to which I return after 14 years abroad. Really special! Whereas we had a slighty overcast sky in the morning, by early afternoon when Mohanji and I were talking and preparing for the meditation the sky was royal blue and cloudless. But I better talk about the actual BTW event. Just how could I describe the indescribable? We opened the doors at 6:30 p.m., started at 7 p.m. and did not move from our seats until after 10 p.m.! A satsang of more than 3 hours 🙂 It included pranayama, meditation, Shaktipat – given by Mohanji and myself – followed by an intense and beautiful talk by Mohanji sharing his wisdom, insights and stories, as well as answering the questions of our meditators. I am not going to bore you with descriptions of the preliminary organisation of the evening. Of course I wanted to reach as many people as possible with the news that Mohanji (unknown here in the West) was coming over. So placing ads, making and handing out flyers, the room search/booking/ preparation (chairs, flowers, light…) etc kept me busy over the past weeks. But I enjoyed it very much. In the end we had people coming from London (friends with whom I already had BTW in London earlier were traveling all the way to Hamburg just to meet Mohanji! ), from Berlin and the area in and around Hamburg. Everyone who arrived was greeted by Mohanji with a big smile and hug, handshake or shoulder pat, then sat down and swiftly went into silence, with open or closed eyes. Mohanji was also sitting and ready to go… The heat building up inside of me was reaching a kind of a peak, still bearable though (Already in the morning, my energy levels were going up and, with every hour in the course of the day, my trachea/windpipe felt more and more like a chimney and the inner heat was rising constantly). Even before the meditation, we were all drinking lots of water to support the system. 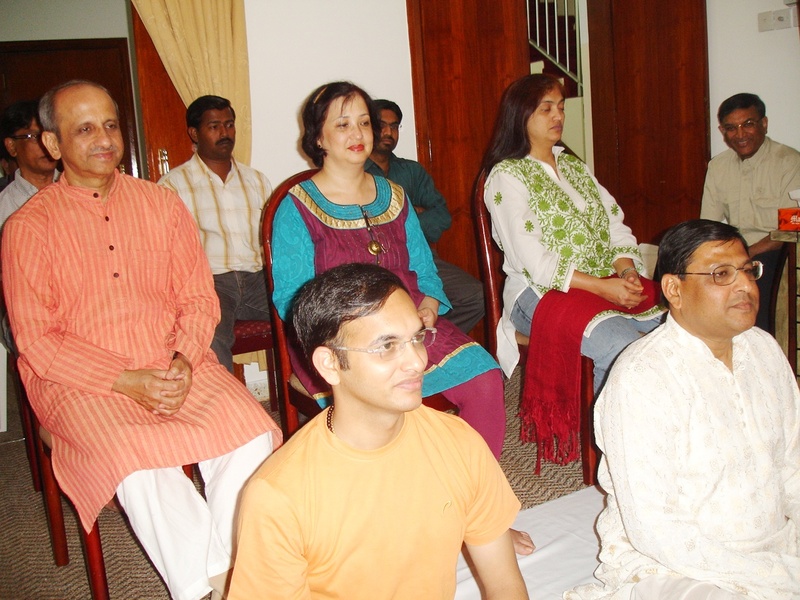 After the welcome and a short introduction we went straight into aum chanting and pranayama. Going through the different breathing patterns I felt that we could easily spend a whole evening with Mohanji just practicing how to breath properly. And what a privilege would that also be! Anyway, vibration levels increased and we started the Power of Purity (German version). It was a lovely and receptive group and we sat in this wonderful, ever increasing space of serenity and peace. The atmosphere was very affectionate and personal, which made it really easy to let go of everything, just absorb the love stream and allow a profound inner connection to the divine energies. During the meditation it was palpable that people underwent very deep cleansing. One lady was having flashes of her past life, as she told us later on, another was faced with a very old, but actually irrational fear of death. Mohanji confirmed during the sharing afterwards how everyone had made significant shifts and released inner blockages. Not everybody wanted to share their experience or ask questions, but that’s was OK too, of course. In any case, it was clearly perceivable that people were in a very deep state of introspection and/or “travelling” during the meditation. The love energy in the room and the shiny eyes were unmistakable after we “returned”. Giving Shaktipat with Mohanji present was just wonderful and I felt deep gratefulness for this opportunity to let others benefit from the higher healing energies, deep love, joy – and purity. And the beauty is also in the spectrum of experiences we had – there was depth as well as lightness in all of this. Laughter and tears, movement and stillness, questions and confirmations, sense of humour and matter of fact, … all natural, all authentic. 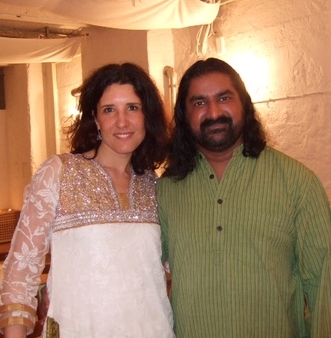 One new challenge for me was to keep pace with Mohanji’s talk as I was translating into German what he was saying. And I have discovered that also translating “through the third eye” works! Mohanji talked about many important things, the soul and its liberation, about various masters, spiritual “laws”- all spiced with lovely stories and experiences from his own life or quotations from the old scriptures. We could have sat with him forever. In fact, after we finished and got up people naturally surrounded Mohanji again, hugging him, asking questions, taking photographs. ..
With a review of all those impressions and a light meal in a nearby restaurant Mohanji and I ended the day just before midnight. A long but magnificient day it was. P.S. BTW Munich with Mohanji next Wednesday! Mohanji's Hand - "Blessing The World"
What is this English to Hindi? And…what is witnessed? We are all so conditioned by our languages and barriers of various kind, that most of the time we remain blind towards the grace that transcends all such barriers and is showered upon us when we expect it the least. For this reason, I would like to share with you something that I witnessed which helped me in going beyond the language barrier, going limitless and embracing a miracle unfolding before me. One day I told Mohanji that we really need to have Power of Purity meditation recorded in Hindi – because Hindi is our national language! There are sooooo many Indians who do not understand English – how can they benefit from this meditation in English? Mohanji agreed instantly. I asked for the script immediately. But somehow it never reached me until 3 weeks ago. I was busy with my work till March 2010 and understood later on that the timing was indeed a Divine plan. Friday the 12th March… after meditation, I asked for the script again. Few days have passed. It was Wednesday 17th March. I have a habit of checking mails in between my work. While being busy with my patients and teaching, around noon time, I saw this mail from Biba…. … “here you go dear Deepali- for translation! ” Frankly, I could not resist opening this mail and printing the script. I do not know what happened after that. I only know that it wasn’t the same Deepali. There was a complete shift in my consciousness. I immediately started doing the translation. Let me tell you, I am not very friendly with languages. It is not my expertise. In fact I have suffered many times due to inefficiency in languages. But this shift of consciousness was so strong that, I just started playing with the language, and it went so smoothly. I completely submitted myself to the Existence and the translation got done within 24hrs, including the time for routine household, work and sleep as well! The real punch of the story is not the way the translation happened, but the way it was revised and recorded in Mohanji’s voice! “Ok. Now read. Baba will speak.” Wow. 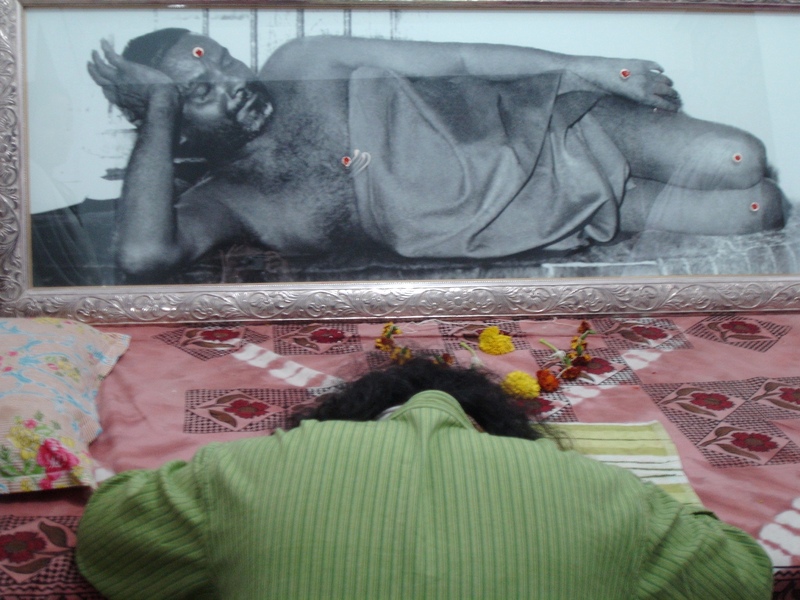 While I was reading, he was continuously looking at Baba’s photo in his altar. Nodding his head, he would say, “Ok. Go ahead. Baba accepts this”. Then, “No, Baba said that you have the freedom of adding a few more words to deliver the proper meaning in Hindi”! Beautiful! Reading was over within 15-20 minutes. On the day of recording, though he was too busy with work, he still managed to further revise the script with my husband Sanjay and myself. Straight from the work, we reached the recording studio. Next one hour was completely different experience for Sanjay and me. 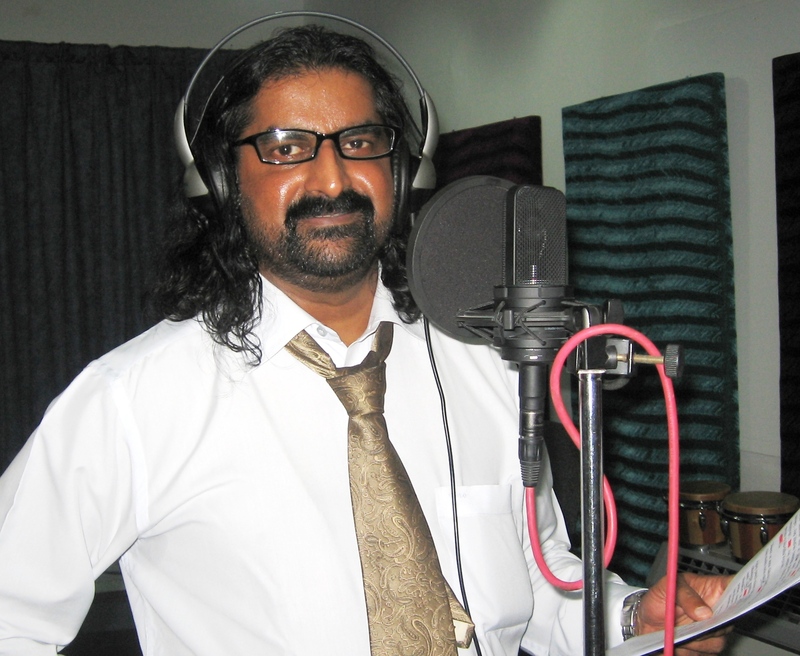 As Mohanji put on the headphones and uttered the first word…… surprisingly, his voice was completely different…. deep and divine, full of power and compassion. He delivered emotions of each word with his voice. He had difficulty in pronouncing a few words. I am not very subtle in understanding, but what I saw was- Baba was present and He was very serious, sitting full time behind Mohanji. 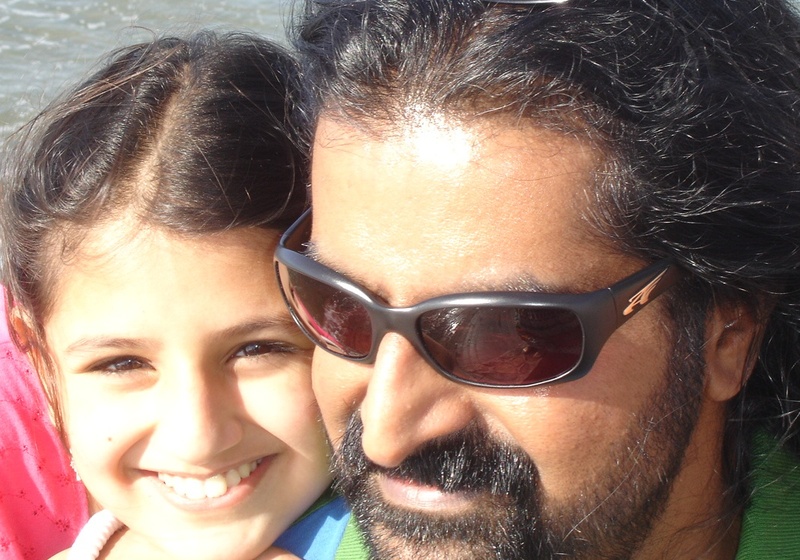 Whenever Mohanji would get stuck with words and struggle 2-3 times, Baba would look at him and me. Pacifying us, but at the same time in powerful action. And then a miracle would happen before our eyes and words would just flow through Mohanji. I was confused and thought “Is he speaking the same words as I wrote? !” It sounded totally different. Mohanji gave life to those words. A smile that means "It is completed!" I am not hallucinating. I am a person of reason and science and I can not accept miracles easily. Being a medical doctor, I like to talk evidence-based. 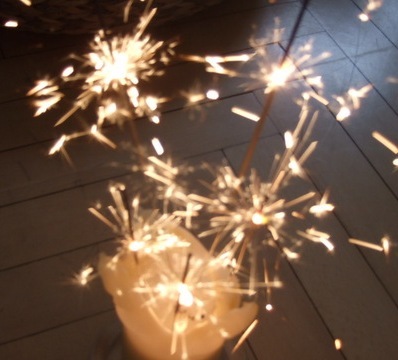 I was introduced to spirituality just 1½ year ago. Slowly, I am able to understand the blend of spirituality and science. This happening confused me in the beginning. 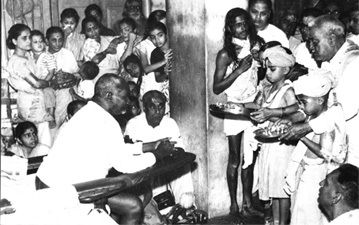 But, knowing Mohanji’s Hindi before and comparing that with what happened during recording, this event re-enforced the truth in me that anything is possible when divinity is at work. I own my experience. I also leave it open for all of you to experience. Recording was over within 20 minutes only. We had to edit/re-record only 3 short sentences! Astonishing! 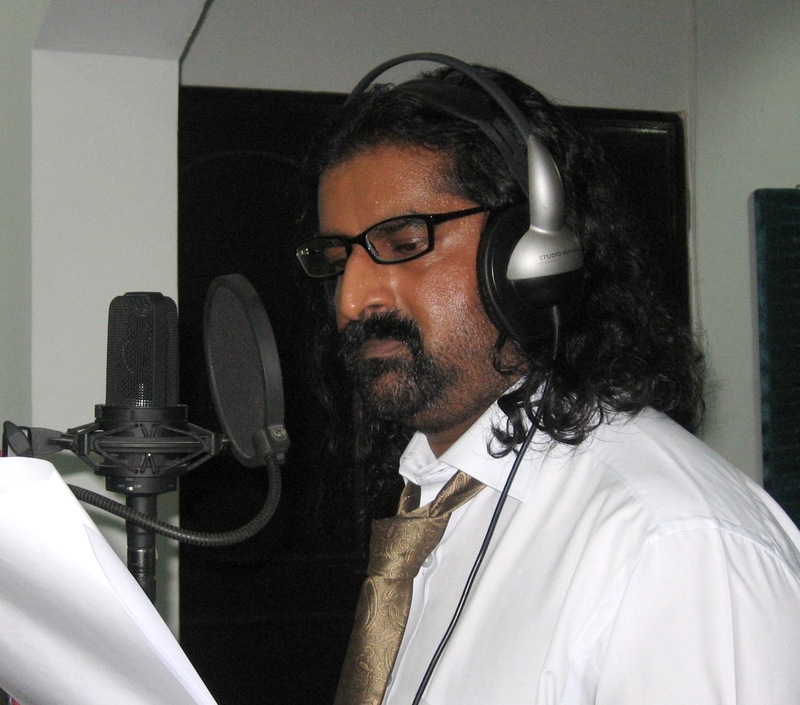 After the recording was over, Mohanji looked fully exhausted, drenched with sweat. The AC was supposed to be off during recording, but that was not the reason for sweating. 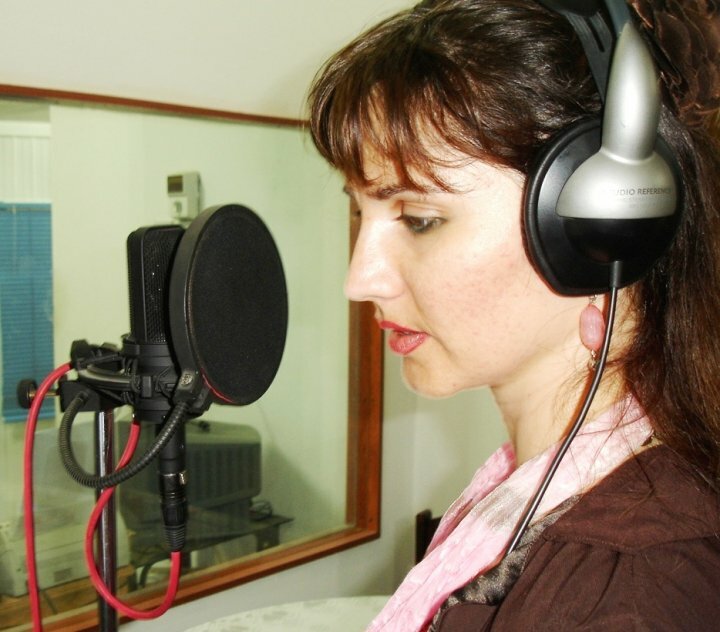 I had seen Biba recording in the same studio, but she did not sweat so much after her recording. Mohanji later explained that. Furthermore, he completely lost his voice! He could barely speak as if he had voice only for the recording in Hindi! It took 2 days for his voice to recover. Total time required for recording and editing was just 2 and a half hours. We did not have any problem with editing. Computer worked well, recording system also worked effortlessly. As if the whole thing was properly planned by Baba. ……. “Indeed, Baba was present. I was worried about my accent. How much ever I try, I will still have the Malayalam accent. Apart from that, there is no problem. 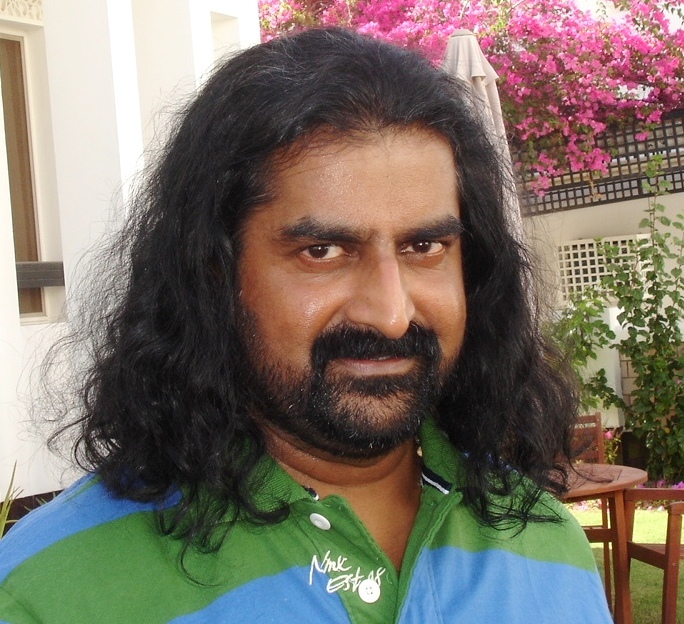 There were very less re-takes, considering the fact that I do not know Hindi, its pronunciation and dictum. Baba arranged everything. This was His will”. ……. 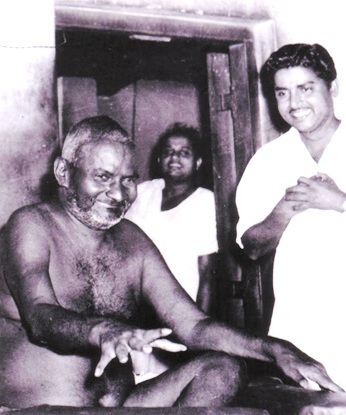 Mohanji also explained that he underwent a massive expansion during recording due to Baba’s presence. Then he had sudden contraction when Baba left after meditation. This sudden and massive shift in energy caused this exhaution and sweating! He said wittily, “Don’t you sometimes get exhausted after giving Shaktipaat?” This satisfied my medical mind. This was a very powerful experience for me, as I witnessed, ‘Impossible becoming possible’; there is nothing like… ‘I can’t do it’! or ‘I am not an expert’!… Limitlessness!… our true tradition. It was also the first time for me to witness ‘Present becoming Past through me’ (I had this ‘history in making’ feeling – I truly witnessed the happening that, once recorded, the meditation lives forever)! It was also great learning of ‘accepting realities without reasoning’. 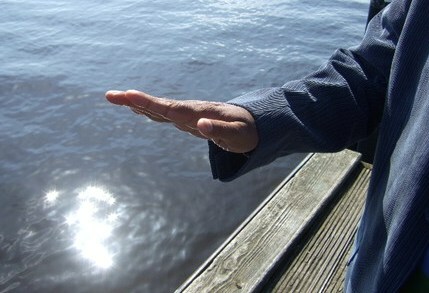 The “Power of Purity” meditation is all about cleansing ourselves and preparing for higher learning. The “Power of Purity” is also about love and compassion – it tells us that we have no enemies, no hatred. We spread only love and remain always grateful to all and to the Existence. Children are future. They too should be exposed to this thinking. It is our responsibility. Let’s meditate with them. Let’s take them with us. The Shift is approaching. This is Baba’s message. Let this Hindi meditation reach everywhere and spread the message of love. Let it clean the baggage of karmas from this planet Earth. This is the ‘seva’ we should do. Let’s copy and distribute CDs of this meditation. For those who have access to schools, please make an attempt to conduct this meditation in the schools as well. Biba has already translated and recorded this meditation in Serbian language as well. Bengali and Marathi translation is on the way. Please come forward to translate into other languages too. Please download, listen and conduct the Hindi meditation, and experience the grace. Mohanji, Sanjay and I sincerely thank you for this opportunity to do this wonderful seva. I also sincerely thank Denny who helped in recording and editing. Dear BTW friends, I wanted to share this divine experience with all of you. I thank you all for reading it. Sai Satcharitra explains, “By narrating experiences one had directly with the Master, you are offering the same grace to readers and listeners”. Mohanji, I am grateful to you for plunging me into a situation in which I could get this amazing experiential understanding of higher learning. I wanted to write personally to thank you for the lovely divine experience we all had last Friday, April 2nd. We were just 5 devotees present that day (Ma, Sarika, Abdul Rahim, Rekha and me) but the intensity was so very strong, unlike anything we’ve EVER experienced before. Friday morning, immediately after finishing Sai Saptah at home, your face was continuously appearing in front of me. 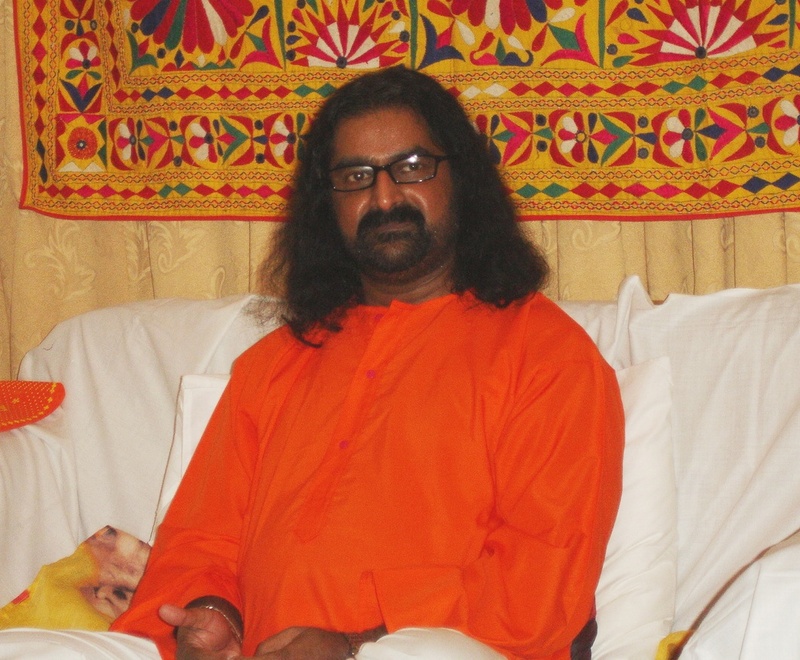 I felt that I was completely soaked with Baba and your divine energy. 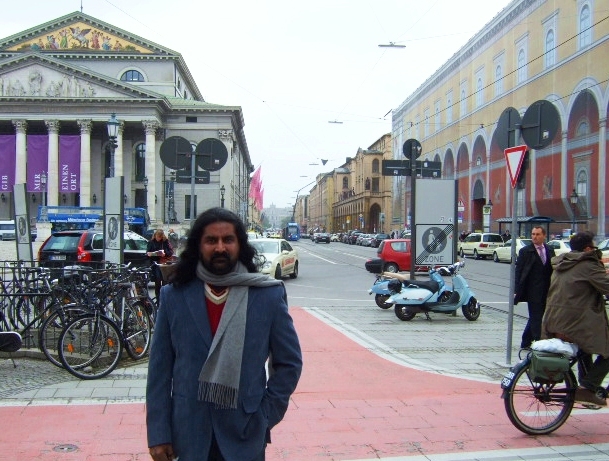 I was overwhelmed with devotion towards my Guruji. Tears of love and joy were flowing down my cheeks and that moment I had the urge of keeping your big pictures in my Mandir and my room. Before the BTW meditation, I picked up 2 pictures of yours to bring them home. Then, while waiting for others to come, I connected with your 3rd eye to seek your blessings. The connection was so strong that I felt you were standing in front of me and blessing me. When the tape started and we heard your voice, the connection became more intense and I got completely soaked with your energy. 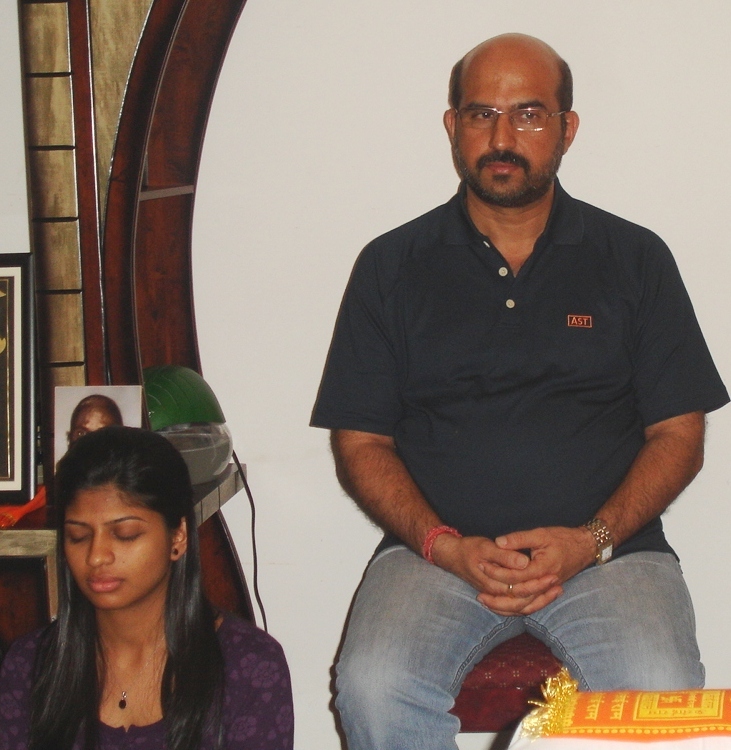 I immediately felt the presence of Babaji and Baba and thanked them for being present in the room to bless us. 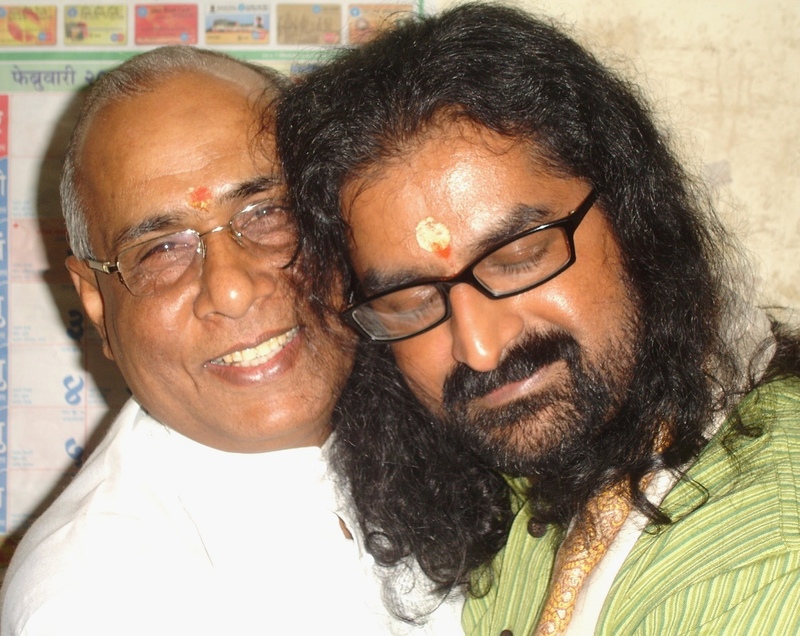 Before Shaktipat I always express gratitude and seek the blessings from Masters and you, my dear Guruji. This time while giving Shaktipat, the flow of energy was in surplus. I sensed as if a tap was open and a spurt of energy was flowing from my arm and I felt a strain to lift my hand from devotees head. I gave them Shaktipat twice and that too for a longer time. Just then the CD stopped, for whatever reason. 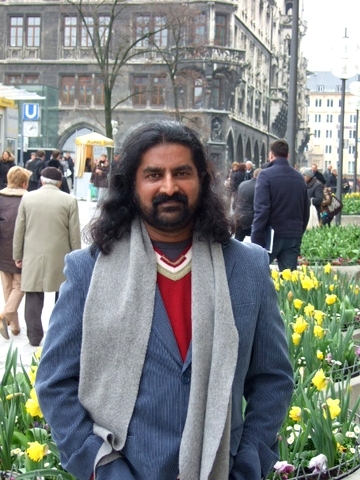 I thought for a moment that, if Dr. Pradeep was present now, he would just continue with his yoga. I was helpless and instantly sought your help mentally. Rekha got up and put another CD, and so we started meditation all over again. This time the CD was OK. Mohanji, wasn’t this a divine plan to make us receive even higher dosage of divine energy?? Well, that’s what I felt. So off we went for another lovely blissful journey. Devotees had triple dosage from me and then Ma also gave us Shaktipat. So can you imagine how much divine energy we all soaked in?? As usual, after the meditation, no one wanted to open their eyes. 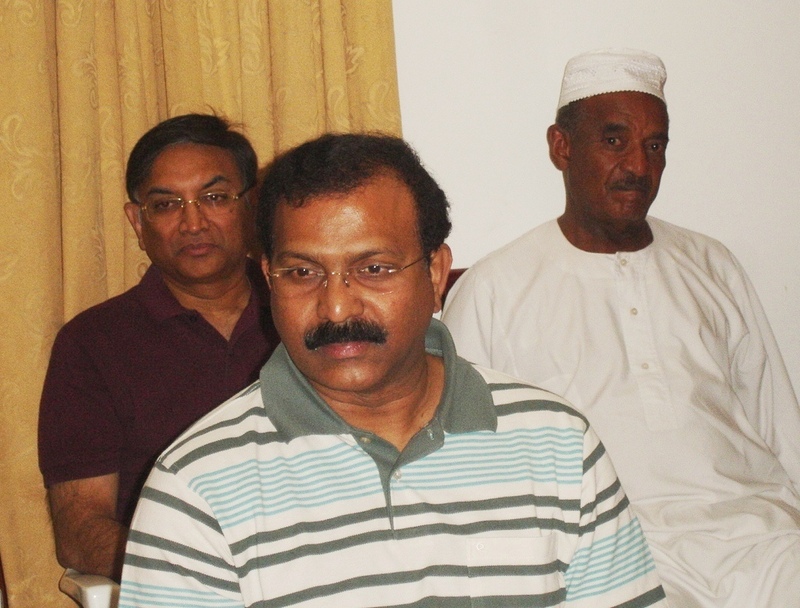 I’ve never seen Abdul Rehman radiating so much of divine energy as I did that day. We all know that he is a lovely soul, but on Friday, his face was SHINING with divinity. He went on thanking me for giving such powerful Shaktipats. 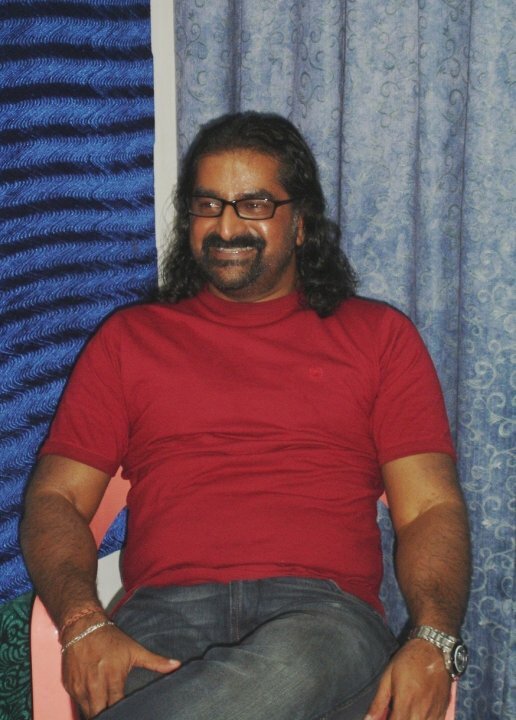 I told him that I was just a medium and that he should thank my Guruji and the Masters that were present that time. Even Sarika was lost during meditation. She usually complains that she finds it difficult to meditate, but that day, the experience was very different for her. Ma also came to me and kissed me saying that she enjoyed the Shaktipat. Why was this meditation a little different and much more intense than the rest?? 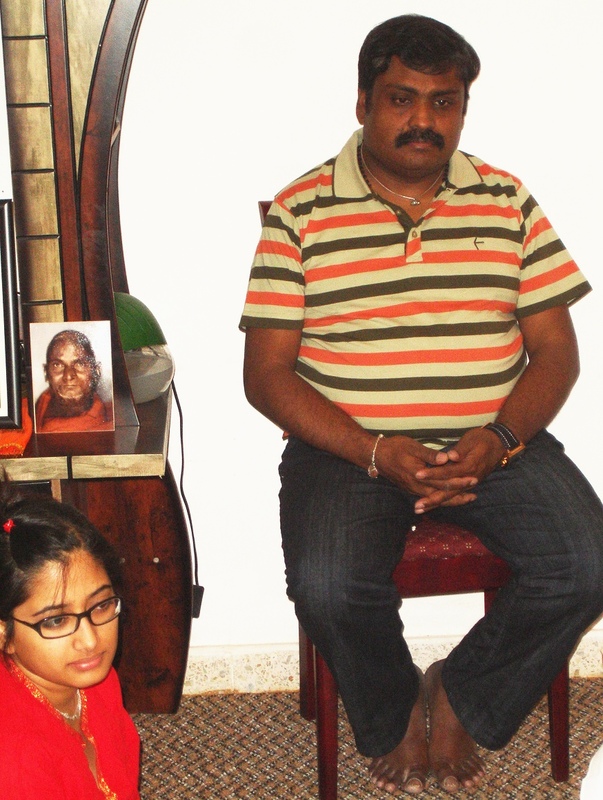 Guruji, no words are enough to THANK YOU for all that you have done for ME and my family. You have changed my life completely and brought me closer to spirituality. My devotion for you is growing more and more each day. THANK YOU, THANK YOU, THANK YOU. This was an event, not just a meditation. Eligibility was the factor here. You wanted my picture and it came to your hands. This is Baba’s leela. Mohan and Baba – We are one consciousness and not separate from one another. 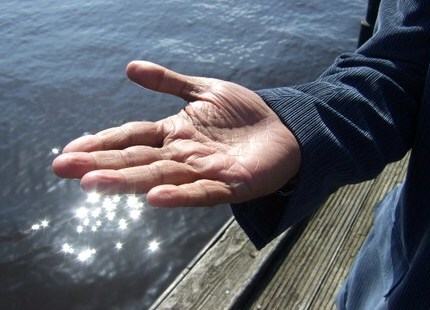 I have written about the spiritual seekers in my latest blog post, “The dharma of existence”. Some people will come and go. Some people will stay. Some people will travel with us through the end. We need not be worried. What Baba told me right in the beginning was, “I am sending people to my own meditation class. You and I are one. Even if one person comes, conduct the meditation as normal. Never stop it, unless I tell you.” Honoring this command, I am doing all these unconditionally, without any expectations. I know that people do not understand that whoever I have empowered to do Saktipat, are myself. They are operating in my consciousness. The effect is just the same. In fact, I am doing Saktipat through them. They shift to my consciousness during that time. All of you have experienced that shift in energy and consciousness and there is no need for further proof. So, let’s not worry. It is our faith that matters. Shernaz is Mohan as much as Mohan is Shernaz. One consciousness. Whenever you connect to me, you are becoming me. You are certainly experiencing this too. Just stay with your experience. Just stay firm with your faith. You are connected to me in this life and beyond. You were connected to me in your past lives too. This is no co incidence. We all are here because of the divine collaboration. We are here to serve the dharma of existence. I will never forget how special yesterday’s Good Friday was. 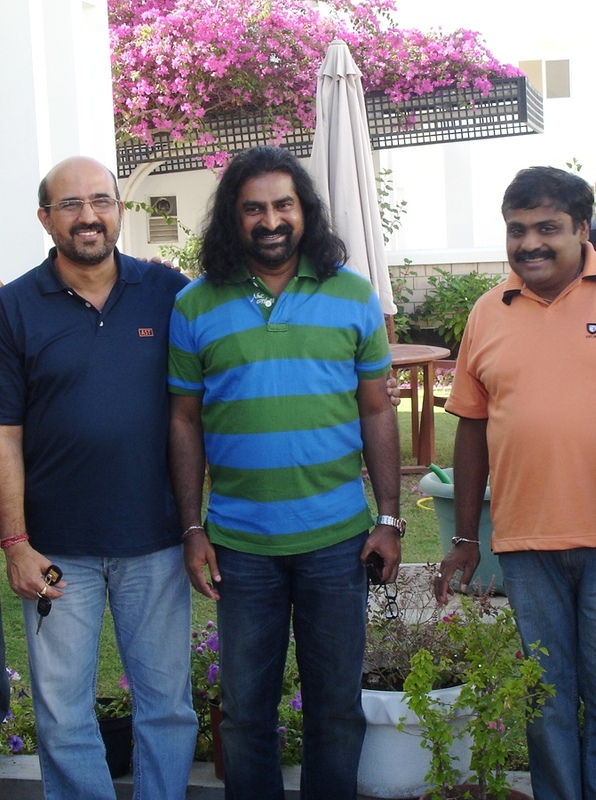 We had a few dear guests from Dubai, and Sudeep also had guests from India, so we all met during the day and enjoyed a lunch at Sudeep’s villa, followed by the bliss of the warm wind, sound of waves and all other wonderful sensations the beach can offer. 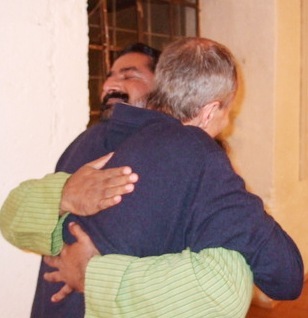 We all felt great joy for no reason and Mohanji especially was radiating so much love and happiness – we were all hugging him, joking around – the whole day was just was so sweet, vibrant and lovely! After a small break, we all gathered together again in the evening for BTW in the Qurm villa. The place was packed but we managed to create enough space in between people for performing the Shaktipat. From the very beginning we felt a mighty energy presence descending upon us like a cloud. I felt like a hollow bamboo and was especially spaced out after Mohanji gave me Shaktipat. I could feel an intense presence of a Shaivic energy and it took me some time to get up to perform Shaktipat because body was slowly becoming immobile (luckily I got up just on time before the body ‘froze’). 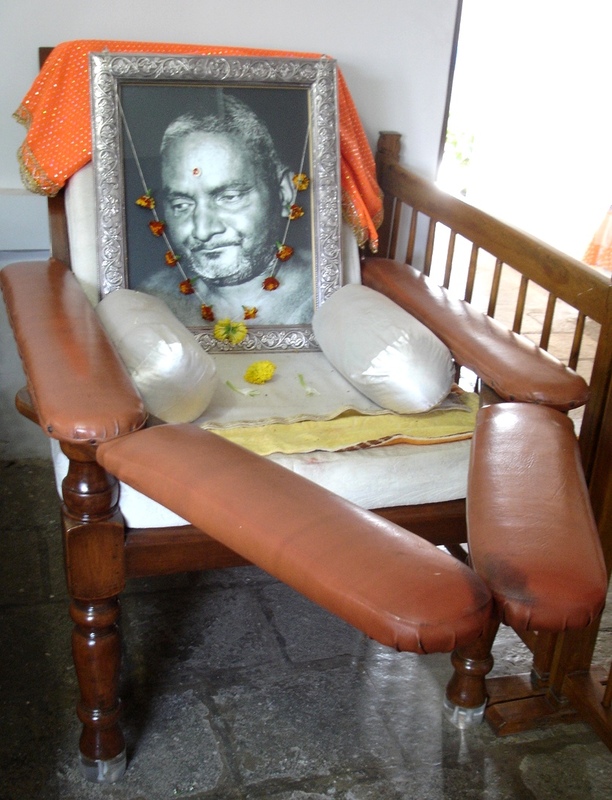 After some time I understood – it must be Mahavatar Babaji, only his energy is that intense and overpowering with love. 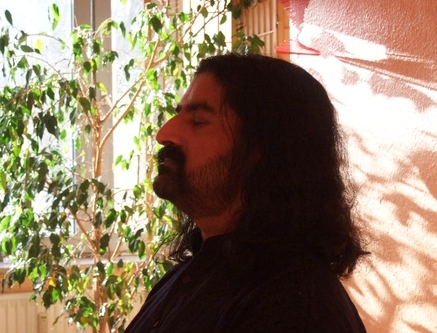 It was a great honor to perform Shaktipat and merge with that energy, disappear in it… I could feel that all were going very deep and, for most, receptivity for Shaktipat was superb -I could feel their bodies were becoming like stone statues and many had difficulty in raising their right hand into a blessing position. The ladies to my left looked especially beautiful, with a profound expression in their eyes – that of deep love and heart-melting vulnerability. Mohanji did not say anything about any Master’s presence. He did not even talk about it. But, many of us, including me, felt the presence of Mahavatar Babaji. 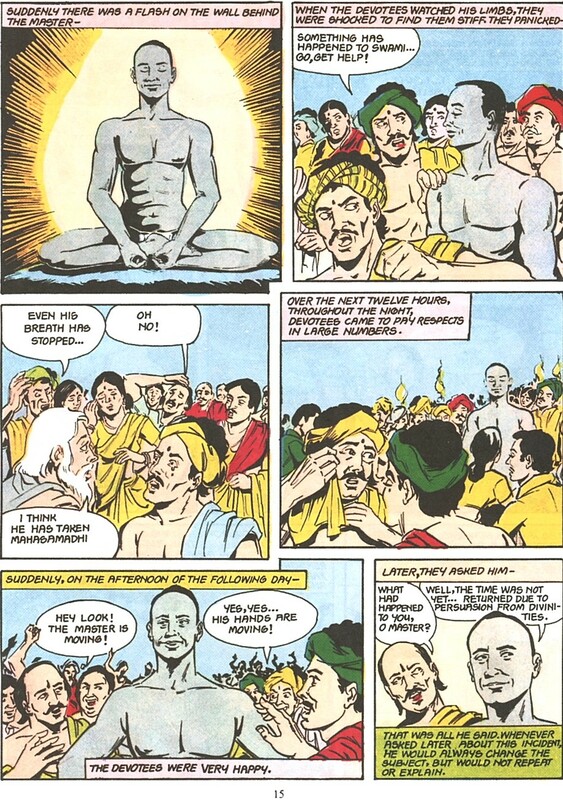 Incidentally, before anyone could say that, Mohanji started narrating his personal experiences with Babaji. In short, he spoke about his first experience with Mr.Teong, the “Babaji boy” in Malaysia, who is always in meditation and communes with Babaji 24/7. 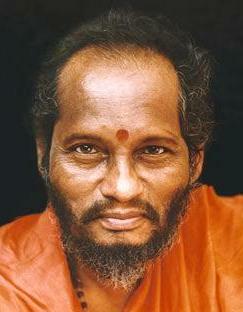 That was his first experience with this great Master who taught him a special mudra through Teong. Mohanji narrated how Mr.Teong always keeps a small, laminated picture of Babaji, with him, which he does not show to anyone. He does not even allow anyone to touch it and carries it always in his shirt’s pocket, next to the heart. 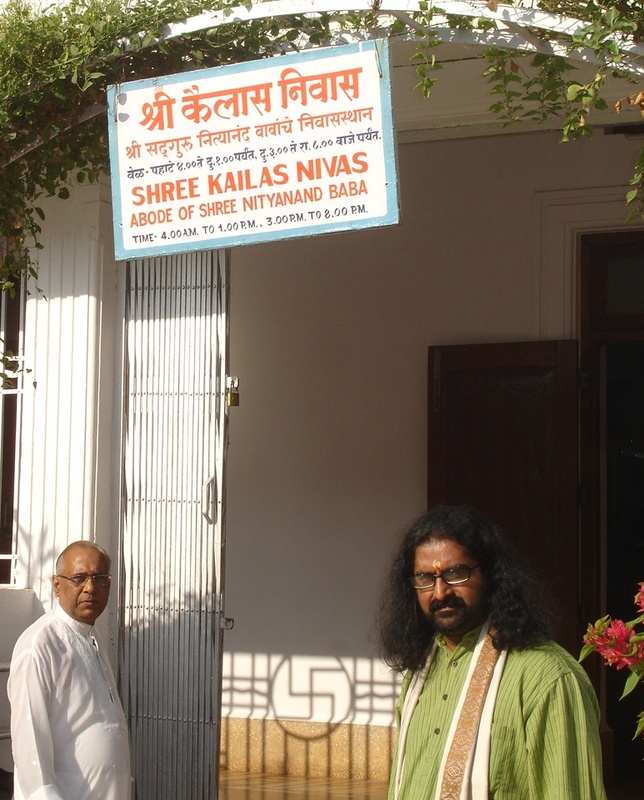 This was the gateway for him to reach Babaji’s realm. However, he gifted that same picture, as per Babaji’s instruction, to Mohanji before they parted. It was a touching experience. It expressed the true unconditional love of a sadguru and reflection of that love through his perfect disciple. 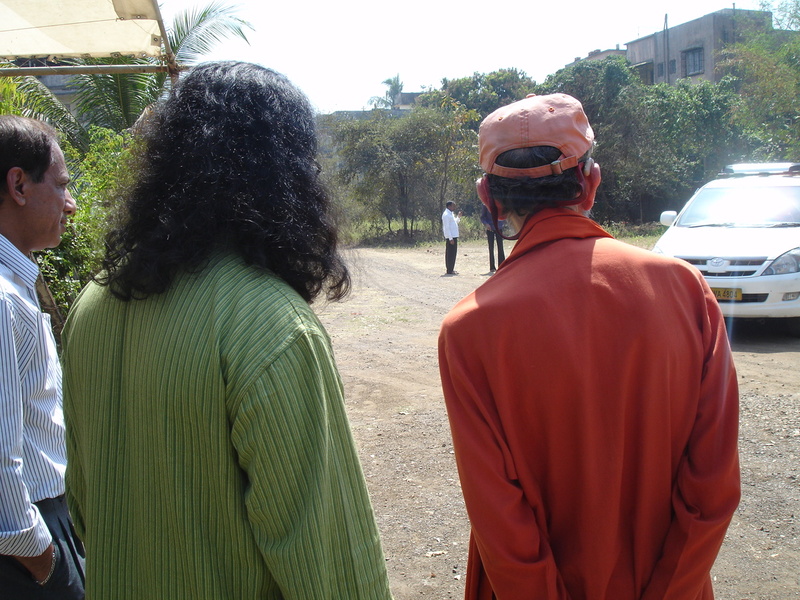 Then, he described how he met Mr. Scott Key who also communes with Babaji often and lives in isolation. 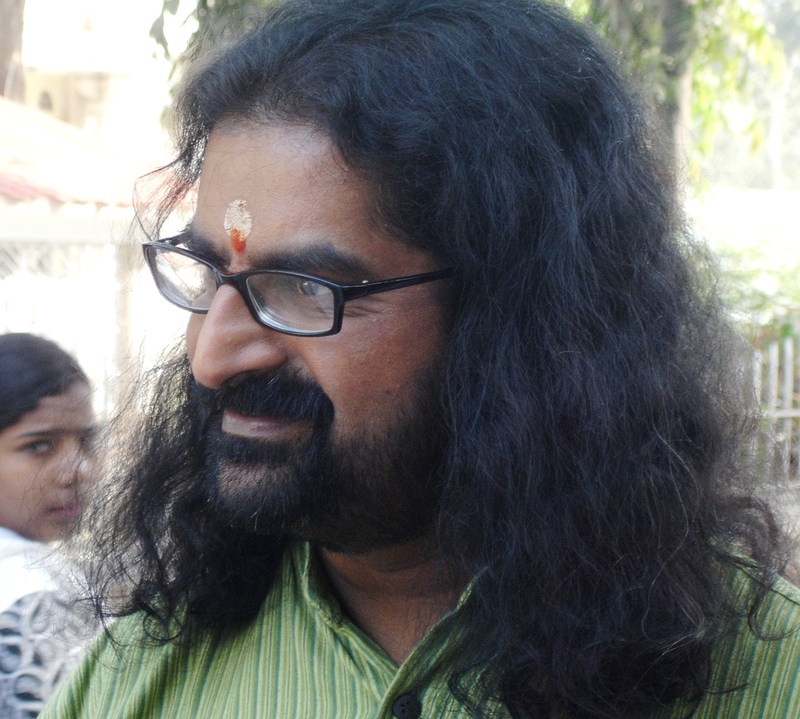 Soon after meeting him, Mohanji had a direct communion with Babaji, in 2005. 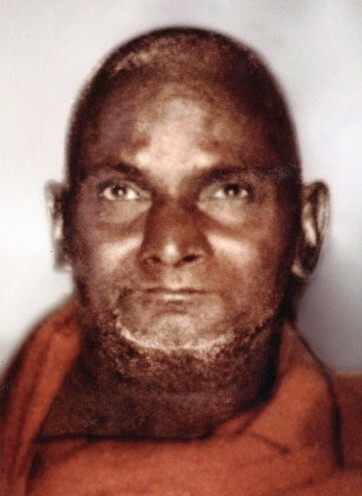 And then, in 2007, he had a six hour long communion with Babaji while in Dubai, which I also partially witnessed (he was completely immobile and his entire body, especially the face, was glowing). He also mentioned about a few prophesies and predictions, which need not be thought upon at this point in time. All in all, the whole talk on this Friday was about Babaji – how He communicates, how it feels when his presence overwhelms or inner space, how he reaches us only when the time is right, His message, etc. I have never heard Mohanji explaining his personal experiences with any Master in such detail and was wondering how come this happened now. Later on, I understood why. 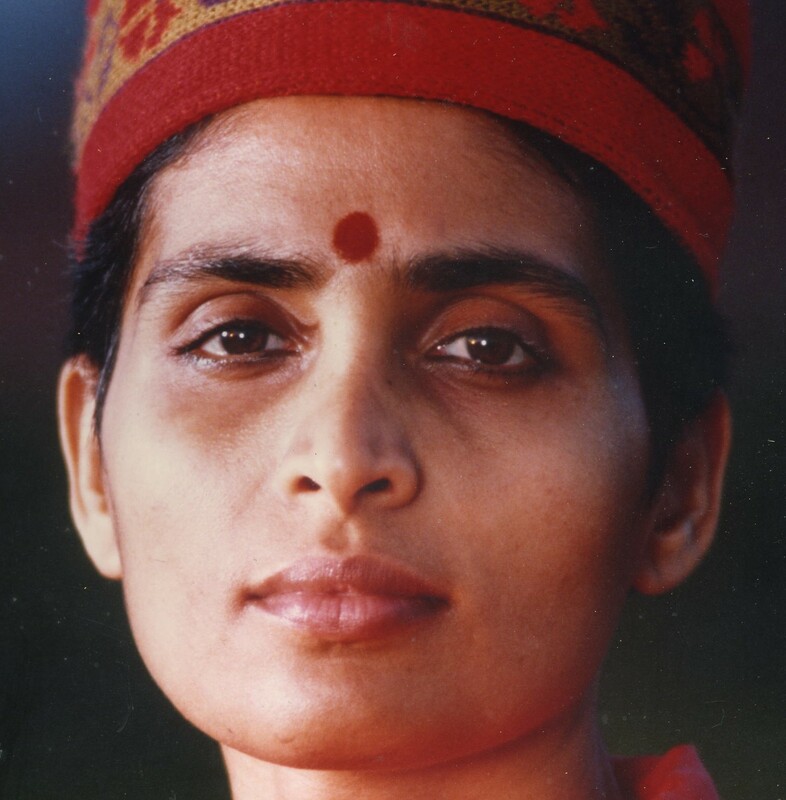 Rajeshwari (who came with her family from Mumbai to visit Sudeep and meet Mohanji, and attended BTW for the first time), said that she never experienced that kind of effect during meditation – her body completely froze and the grip of energy, the blank state of pure Beingness, was just so amazing, that she didn’t want to come out of it. Moreover, during BTW, she felt a certain presence which touched her heart deeply. 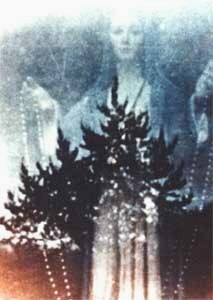 For many years now she’s been praying and thirsting INTENSELY to meet/experience Mahavatar Babaji, but it never happened. She could not understand why and wondered what else to do to reach Babaji. She had many questions about Babaji in her mind and, during this elaborate experience sharing, Mohanji answered them all. She was overwhelmed. It is amazing how the Masters work and fulfill our deepest desires when the time is right – if we ask with sincerity, with intensity, our wish shall be granted when we expect it the least, in the ways our mind cannot even fathom/imagine. 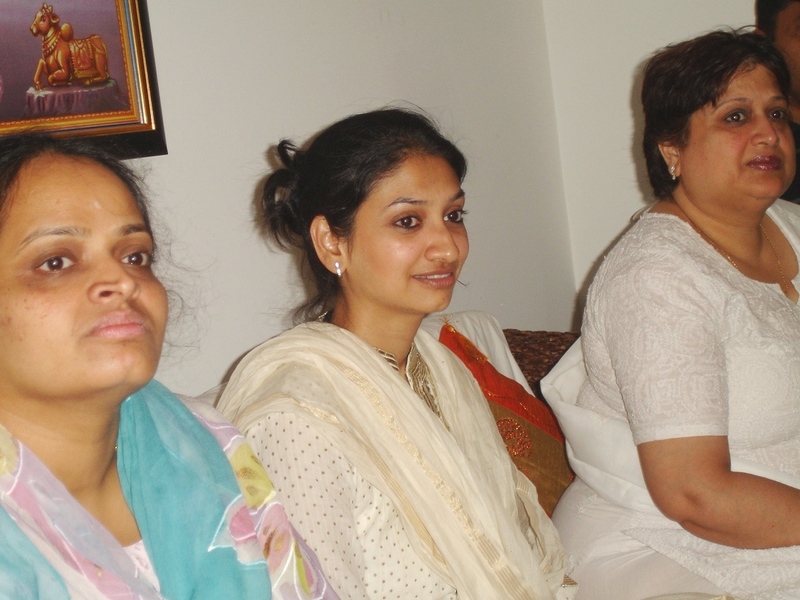 Rajeshwari was amazed how she happened to come to Muscat, met Mohanji and attended BTW without ever thinking that she could experience he beloved Mahavatar Babaji in that way – because her thirst was so strong, she benefited so much from meeting Mohanji. 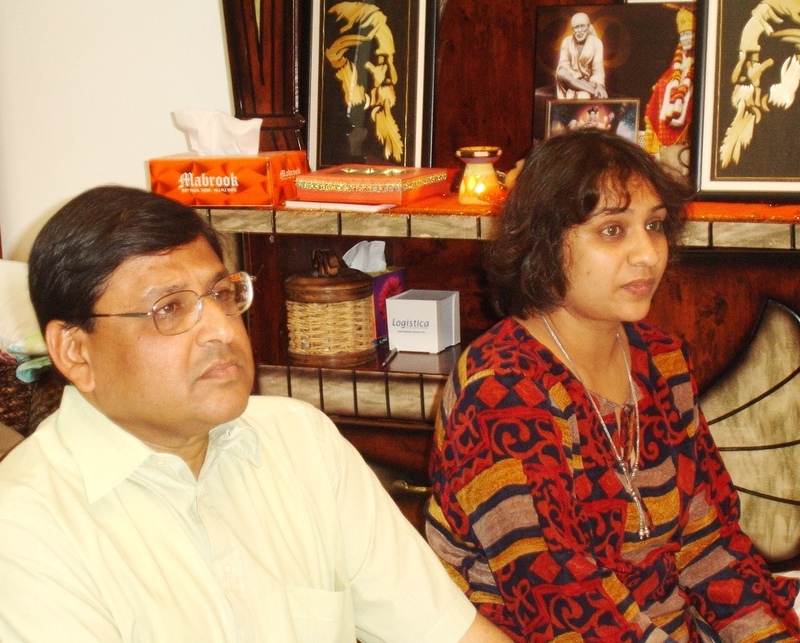 Her husband Abhijit was very receptive as well, which is why the effect of meditation and Mohanji’s presence was immense. All in all, to end my account of yesterday evening – Rajeshwari’s and everyone’s questions were answered in detail. This was one of the longest Satsangs ever. Mohanji kept on explaining and no one wanted to leave. He answered everyone’s question with his usual clarity and simplicity, as well as humor. Actually, right from the lunch time, Mohanji was in expanded state and some people who were around him, developed a headache due to the high energy. Everything settled down properly and all illnesses got cleansed with the meditation and Shaktipat. Everyone was happy and relaxed in the end. Big time churning and cleansing happened, not only in Muscat, but also in Dubai where meditation was going on at the same time (Mohanji mentioned during our Satsang in Muscat about his presence in Dubai, where his consciousness was present at the same time – I smiled when I read Shernaz’s mail about the overwhelming experience all of them had – so sweet…). Thank you for reading one more BTW sharing of experiences and joy. Stay connected, through the loving Light of the Masters/Divine that unites all of us.